About 63% of the total geographical area is covered by forests in Uttarakhand. Forests vary from tropical, subtropical, temperate to alpine and they have high economic viability. Further, forests are the major subsidiary source of livelihood of the Himalayan people, which not only enhance the economy and income but also restore the highly fragile landscapes. Forest area of the Uttarakhand Himalaya has increased by about 5% during the last three decades. 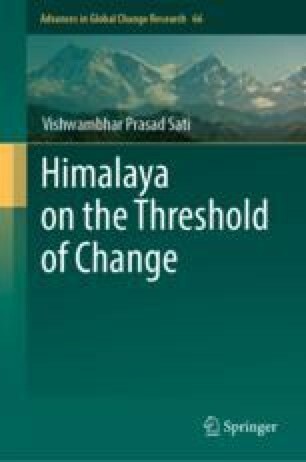 In this chapter, forest types and distribution, district wise change in forest area and about the ecosystem services are elaborated.